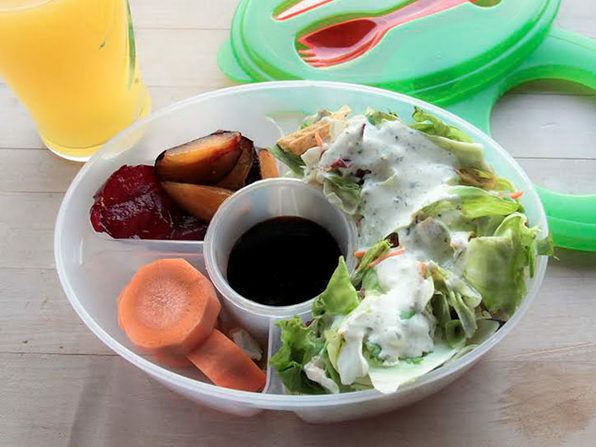 Salad is never the same on-the-go, but it's the perfect nutritious meal to keep you energized all day long. 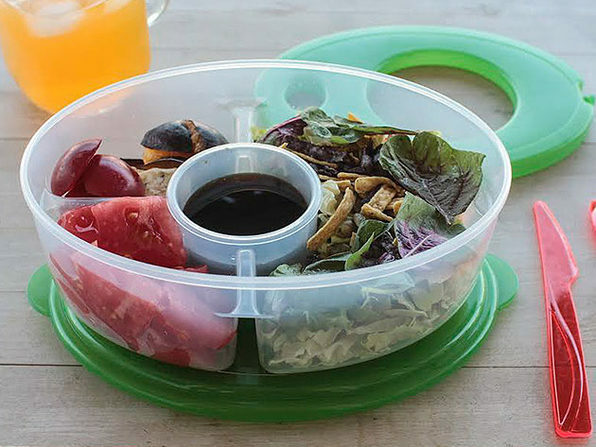 That's why this Salad-To-Go Container is a lifesaver. 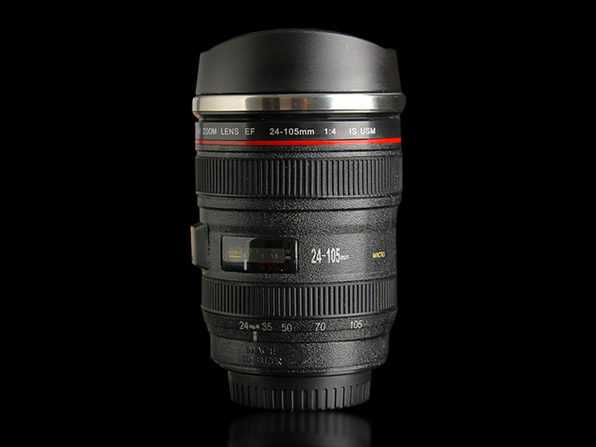 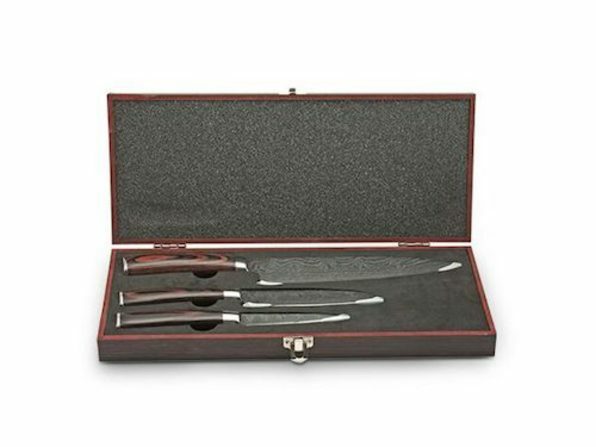 Its clever design works to maintain freshness, and keep any salad ingredients from getting soggy. 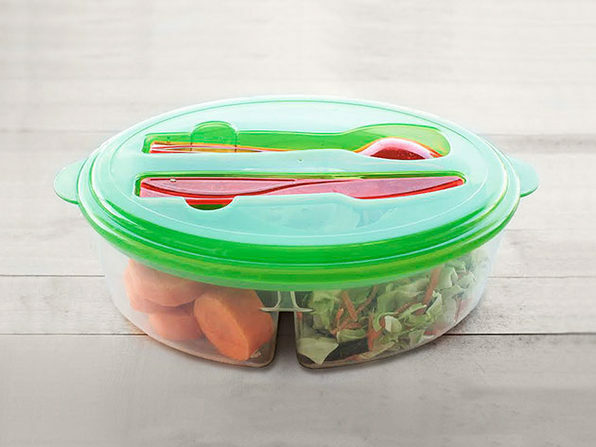 The bottom bowl holds your main greens, while multiple top compartments keep various smaller toppings fresh until you’re ready to mix them in. 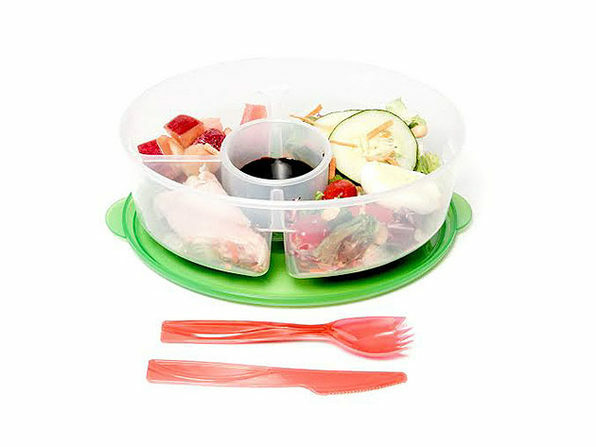 There’s also a separate dressing container and a clip-on plastic fork for easy serving. 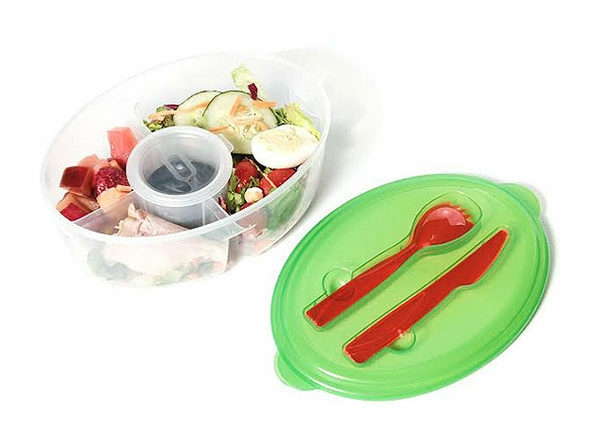 Easily washed and durable, this bowl is the way salad should be carried in the 21st century.